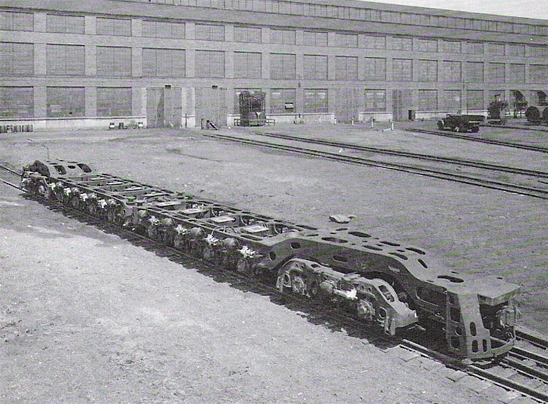 Baldwin Locomotive Works DR12-8-3000 "Centipede"
The production Centipede, known as the DR 12-8-3000, devolved out of a BLW experiment in 1942-43 for an ultra high speed single unit diesel locomotive that could pull a standard "Heavyweight" train at speeds of up to 125mph. 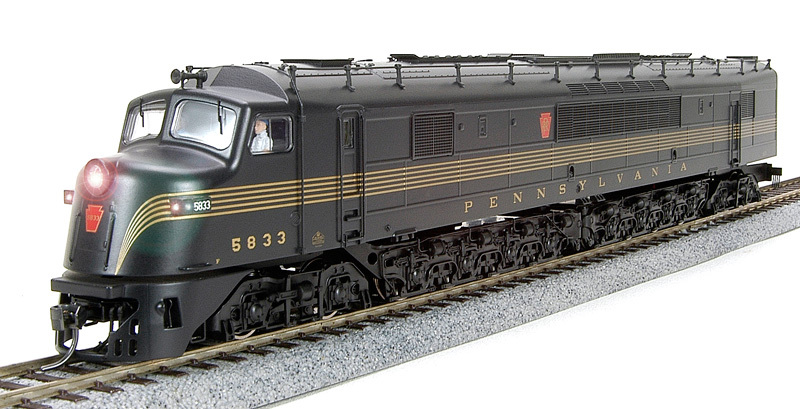 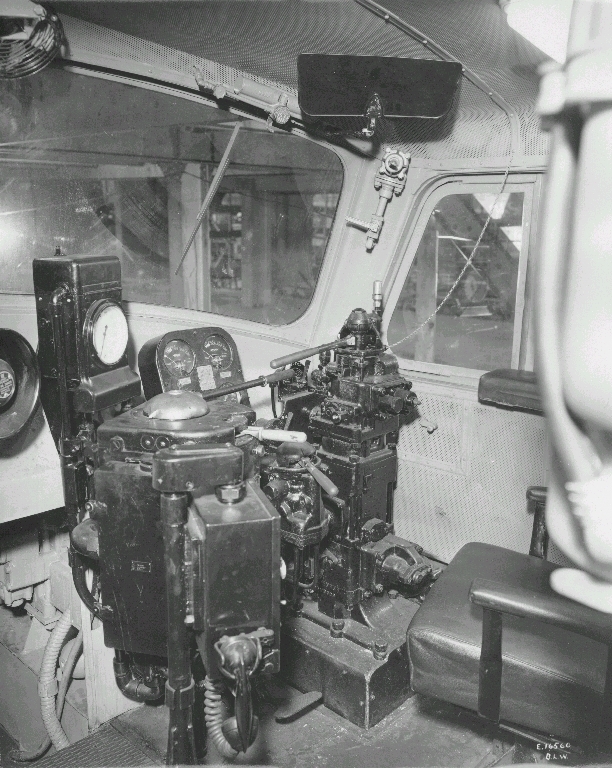 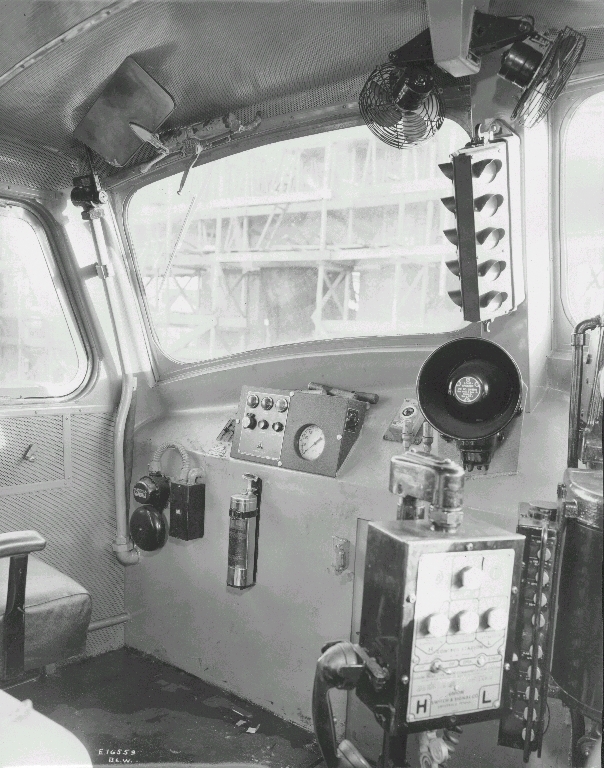 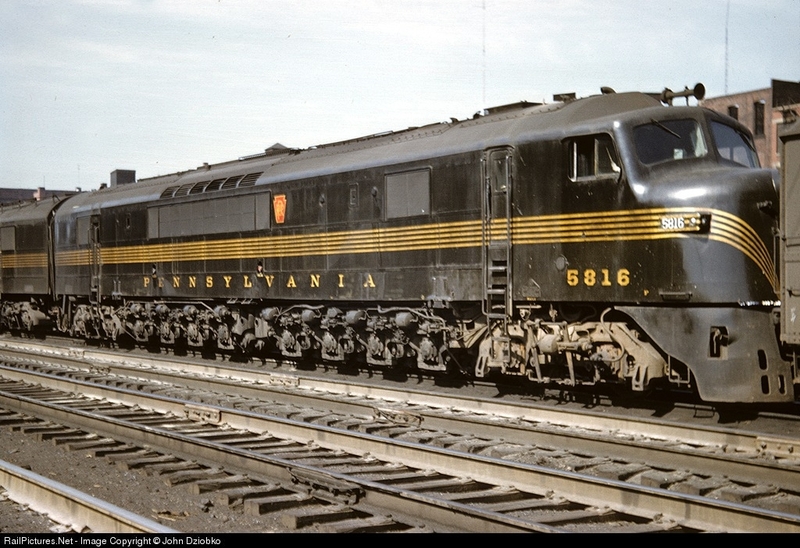 This locomotive was BLW #6000, a 6000hp 4-D-D-4 powered by eight small 750hp V-8 diesel engines. 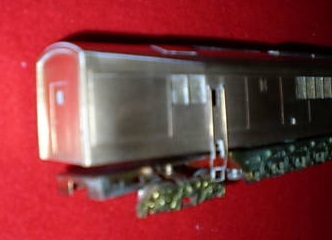 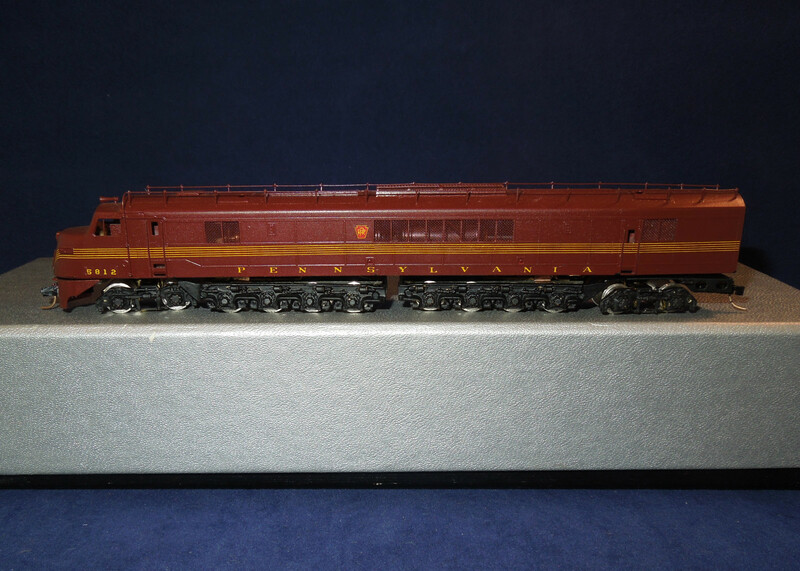 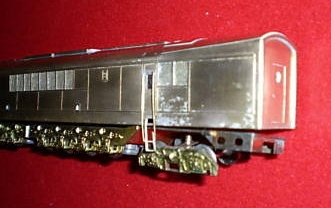 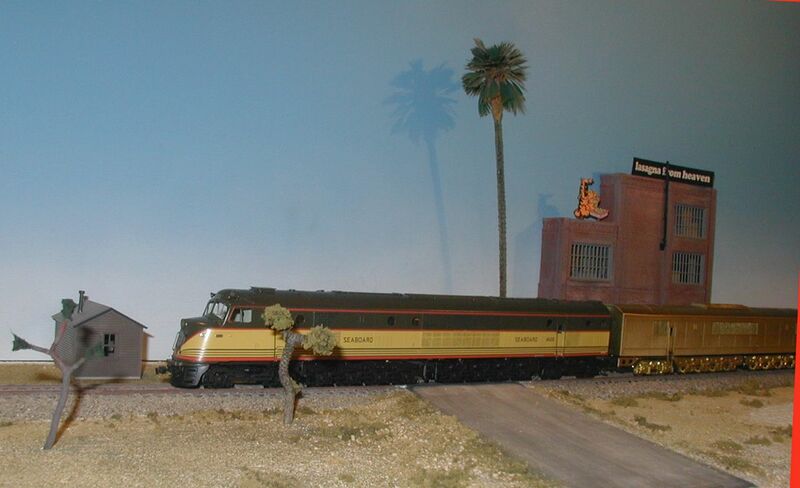 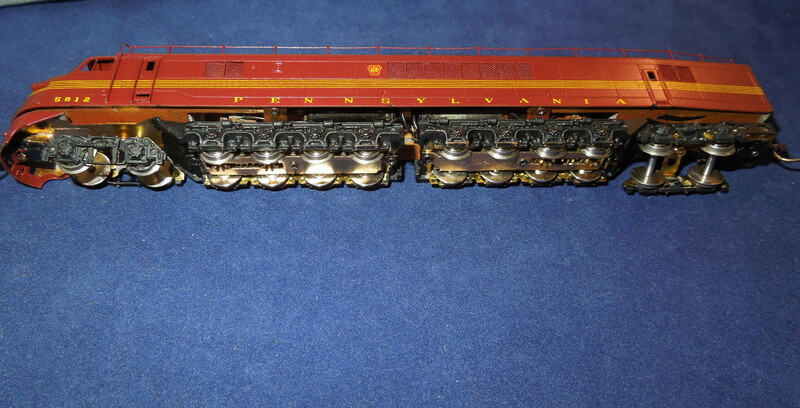 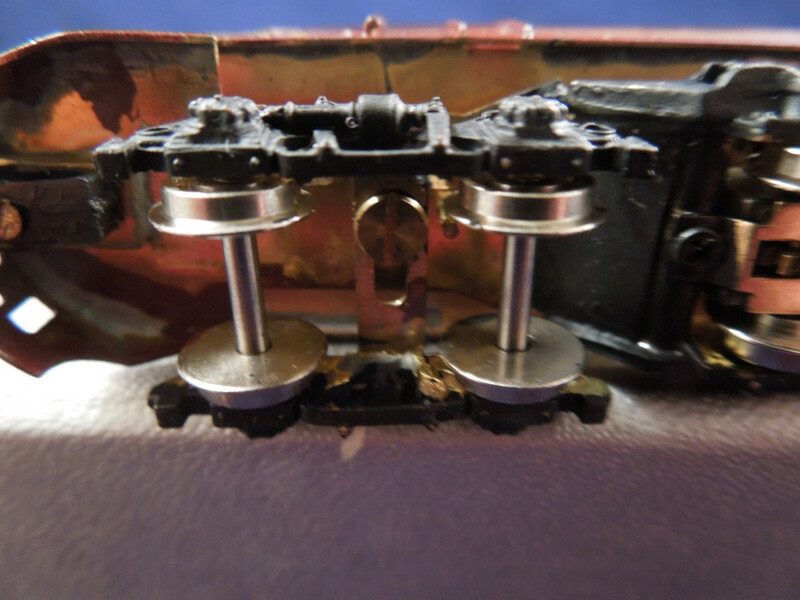 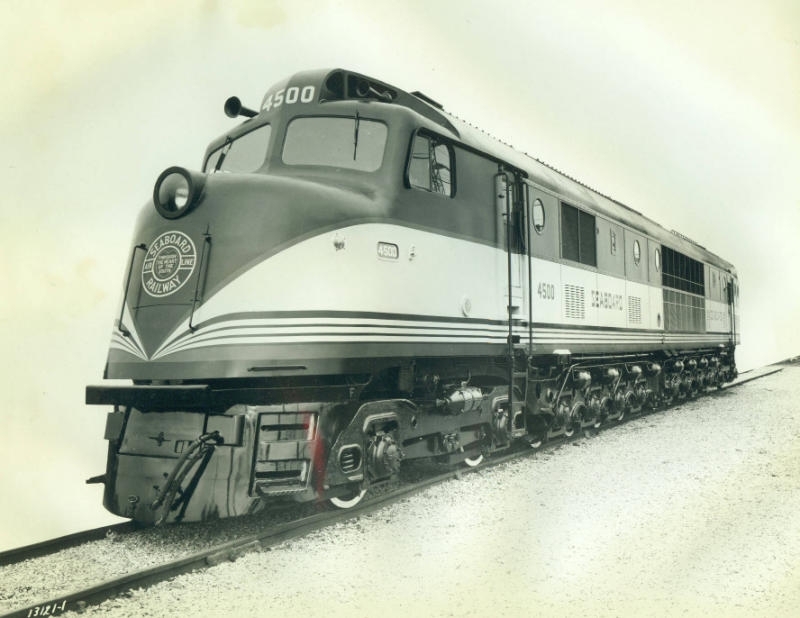 The locomotive had a modular design, and each engine has built into it's own self contained power pack, with the engine, generator, radiator, dynamic brake, and power control system all built into a tiny removable unit. 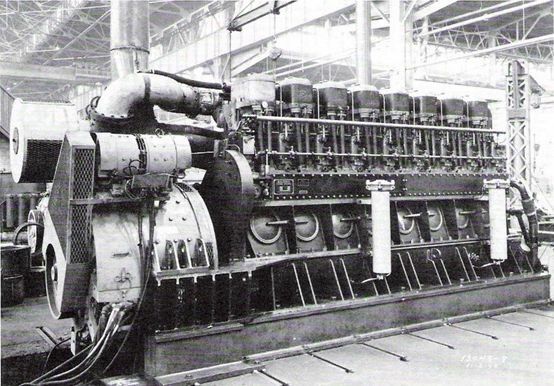 In tests, a whole power plant could be changed out in 10 minutes. 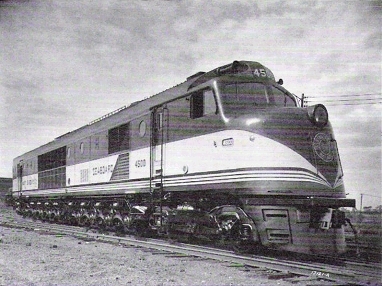 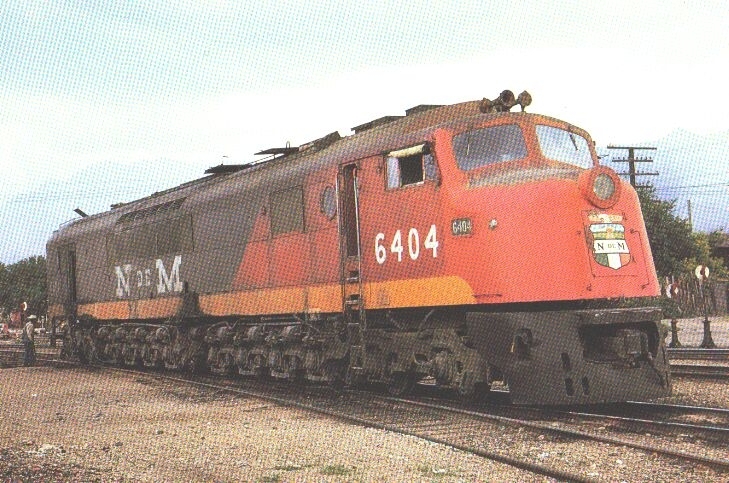 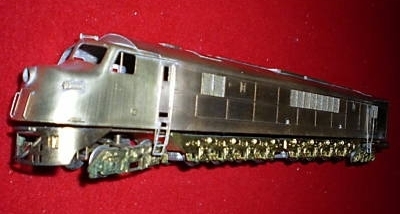 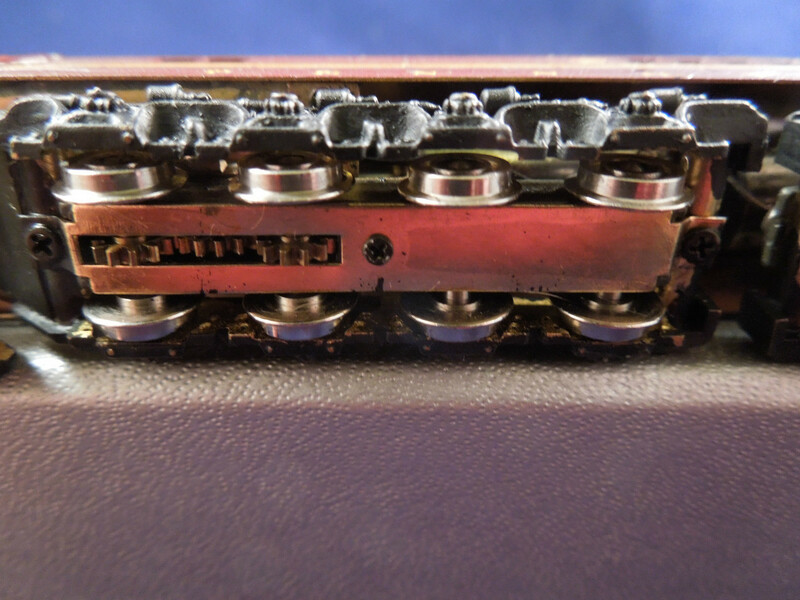 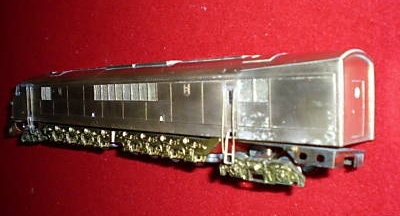 The unique Centipede running gear was a direct evolution of the GG-1's 4-C-C-4 arrangement. 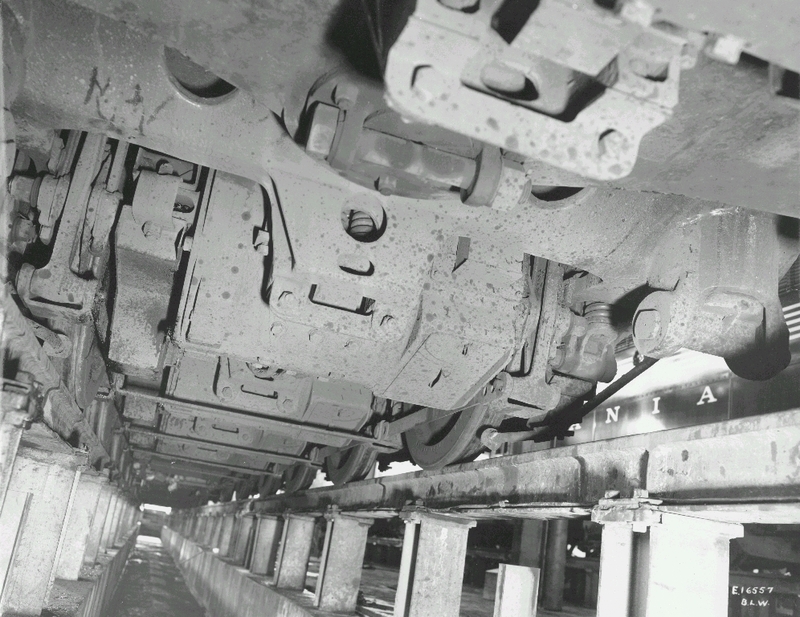 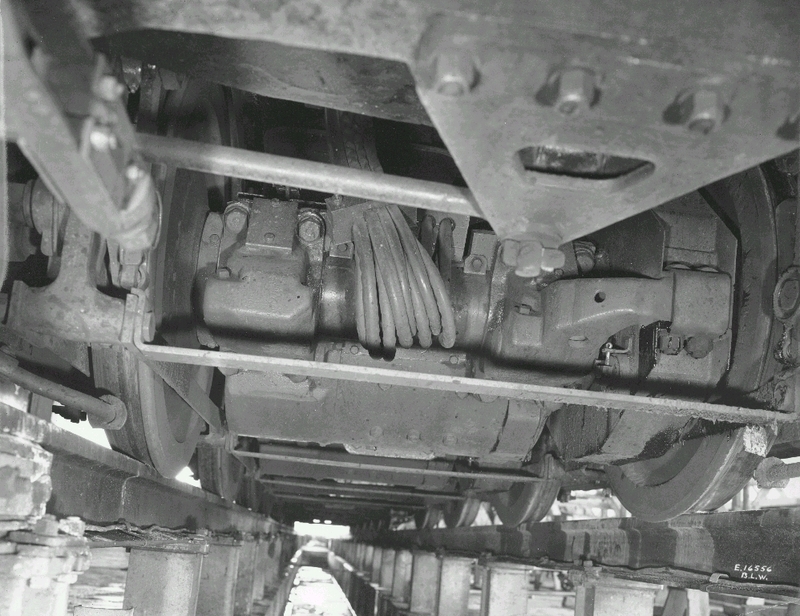 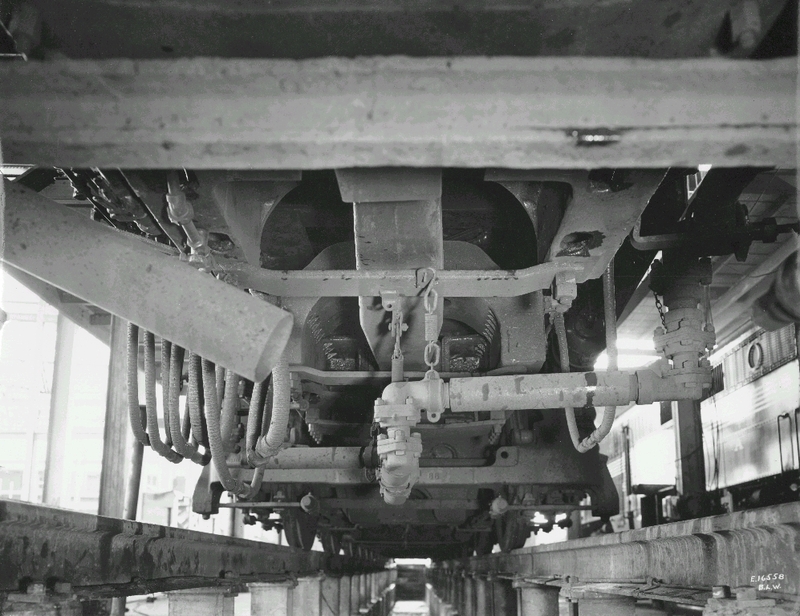 This running gear transmitted the pulling and buffing forces through the trucks themselves, not the car body of the locomotive. 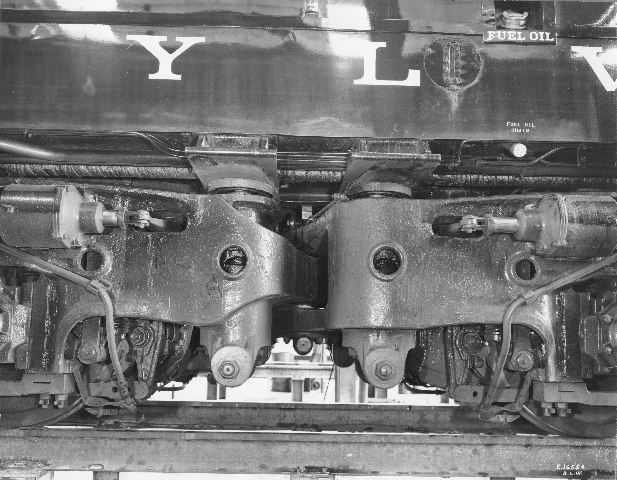 This lowered the relative center of gravity that the forces acted on, and also allowed for extremely smooth running at very high speeds. 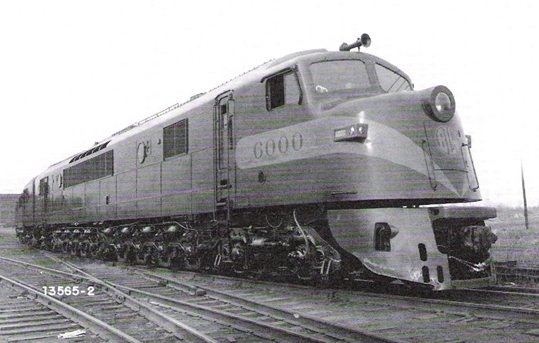 Unfortunately, WWII cut the development of #6000 short, and it was never fully tested. 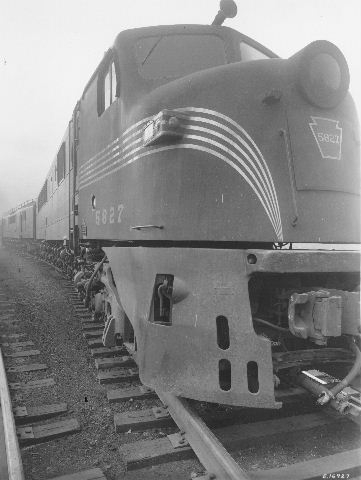 A lack of funds and government intervention brought the end of the development of the V-8 diesels that powered #6000, killing any chance for further postwar development. 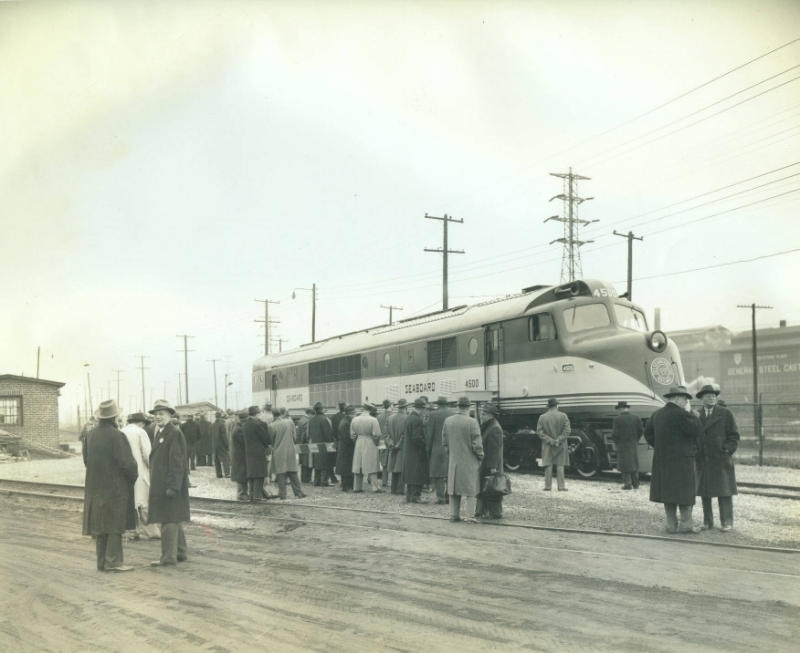 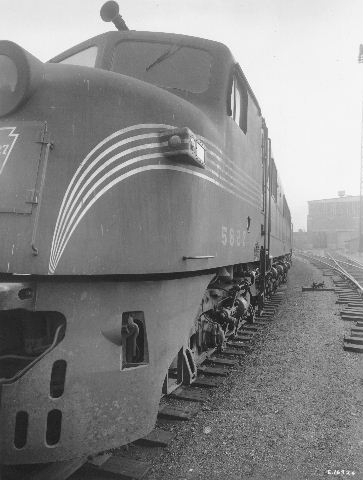 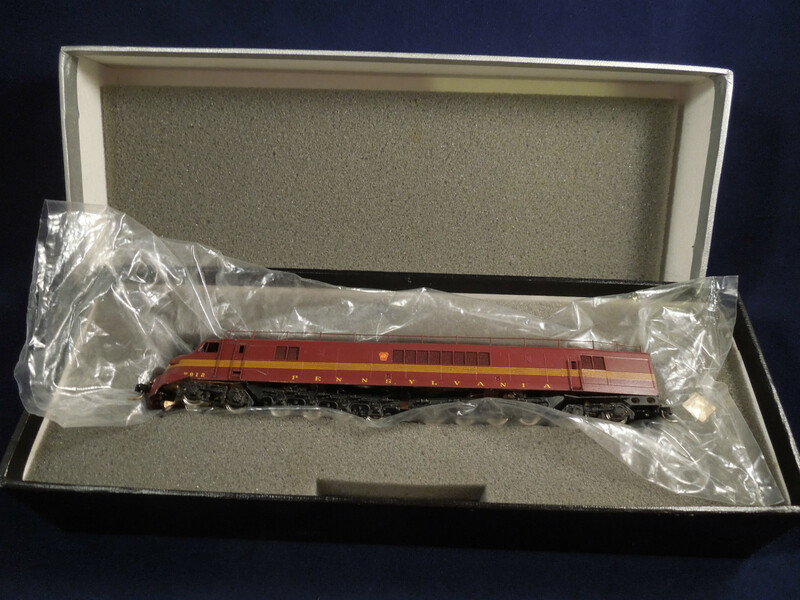 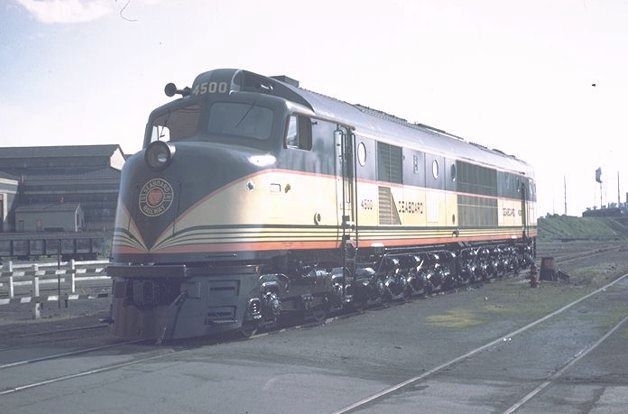 So, #6000 was tucked away in storage for a while, until the Seaboard Airline [went] looking for new diesel locomotives that could provide service on the war torn, neglected track of the system. 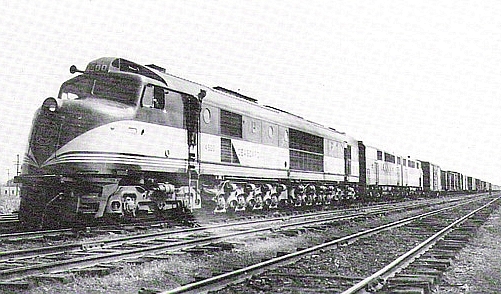 Conventional locomotive types could barely stay on the rails, so they were sent looking for a different solution to their problems. 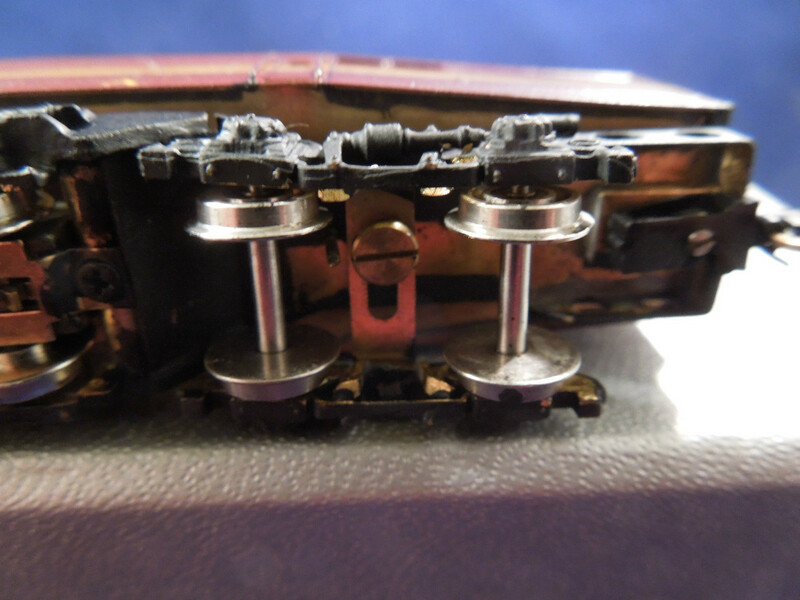 After a few inquiries, the running gear of BLW #6000 came to light, and it offered a solution to their problem. 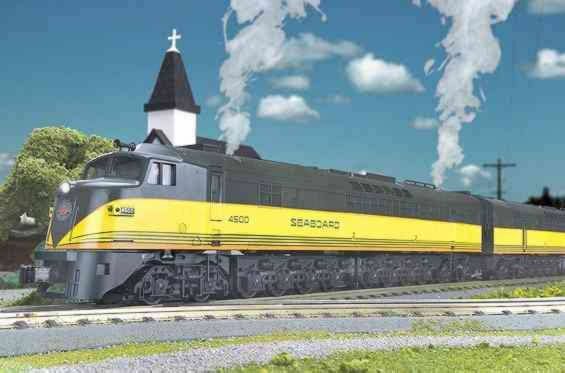 Indeed, if it was rebuilt with a more conventional power plant, it could safely pull trains at up to 85mph on Seaboard's track. 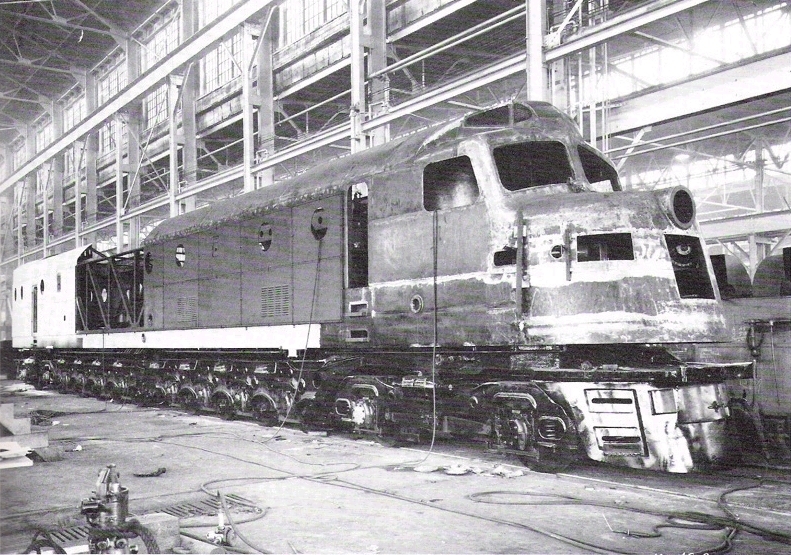 So #6000's old car body was removed, and a new one was built which incorporated 2 of BLW's 608sc engines rated at 1500hp, along with a steam generator. 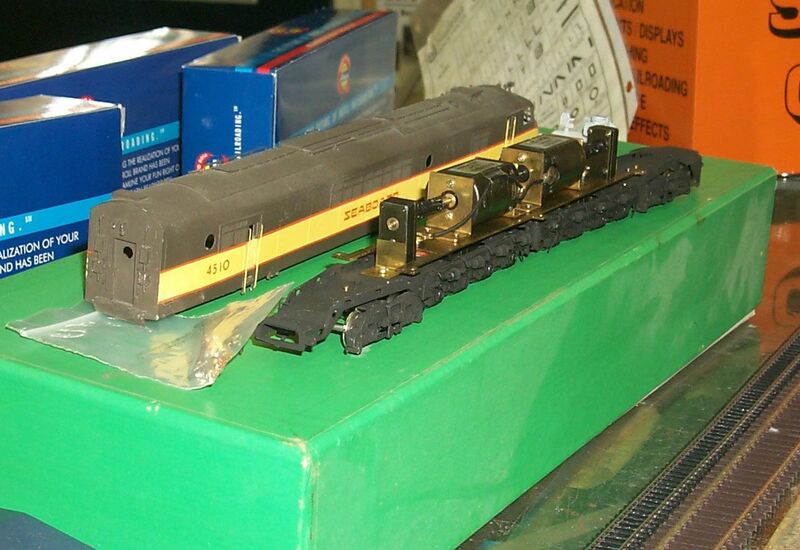 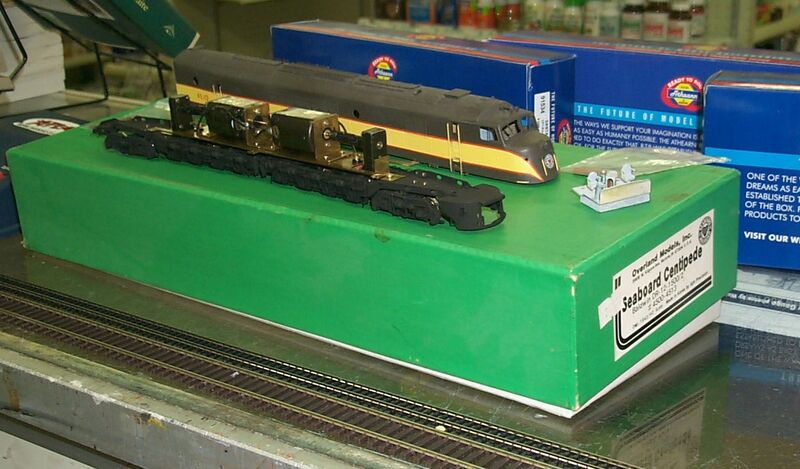 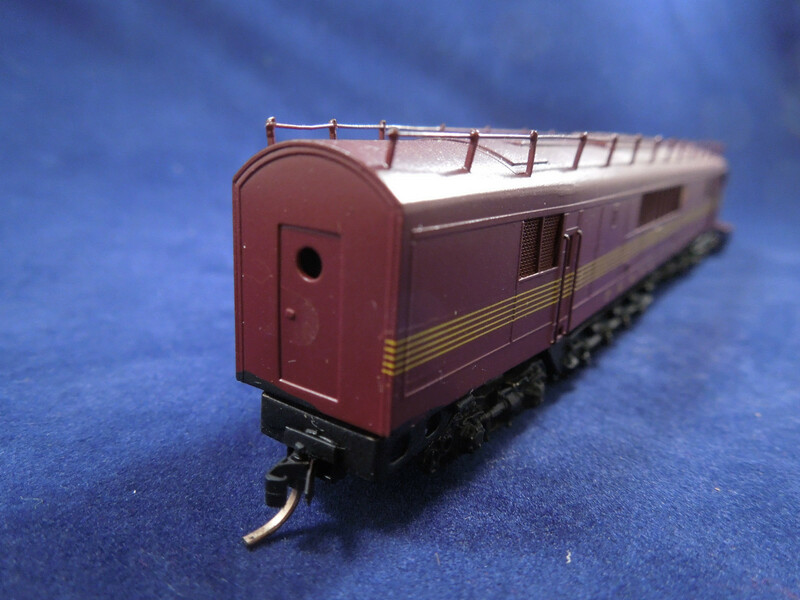 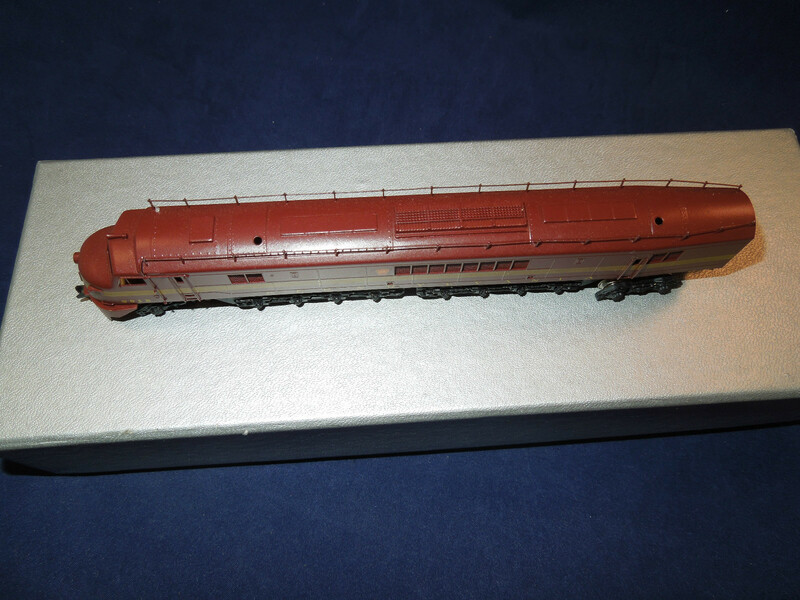 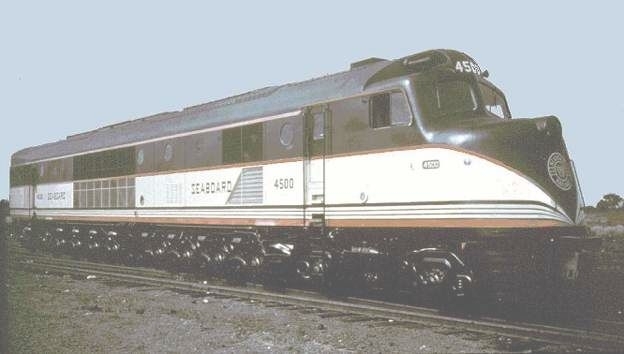 Renumbered SAL #4500, the unit was an immediate success and several orders followed soon after for [additional units]. 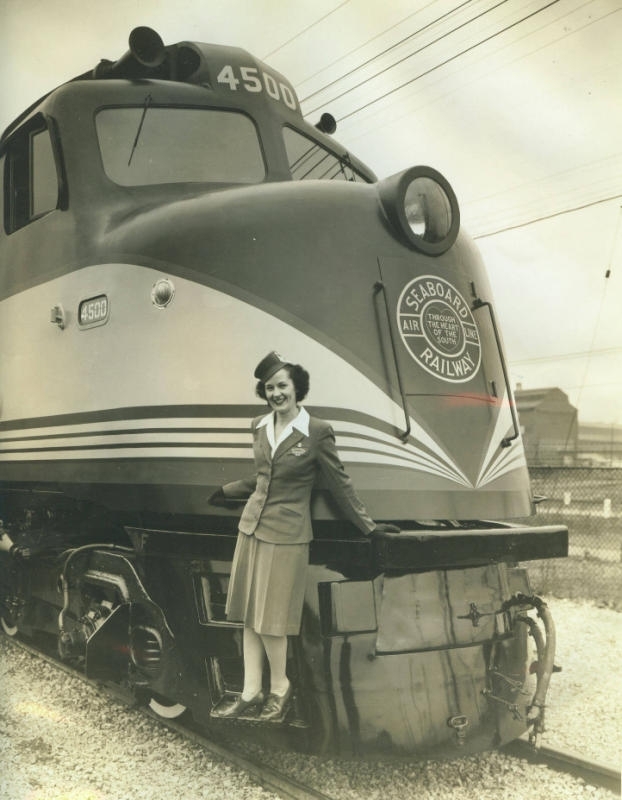 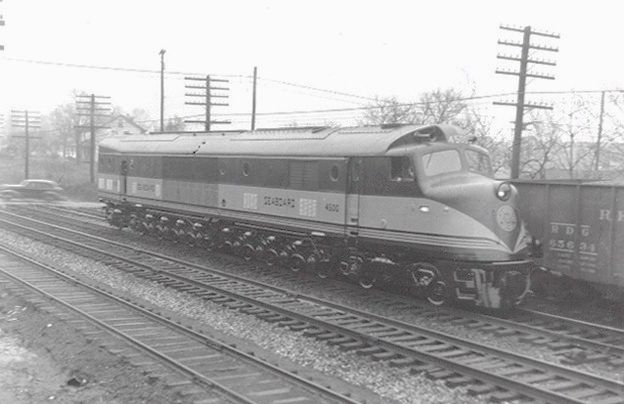 SAL's success peaked PRR's interest, which instantly ordered a dozen sets for themselves. 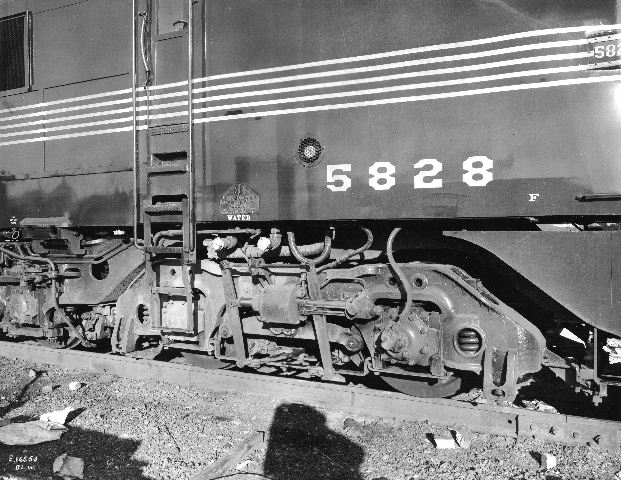 After this sale, Baldwin contacted the NdeM railroad, who's rails were in the same state as SAL's. 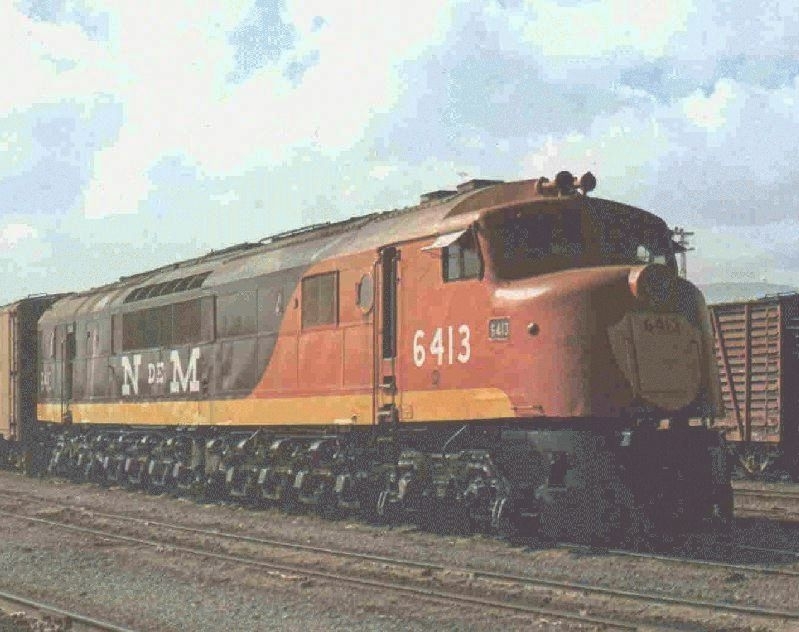 Given a locomotive so suited to NdeM's situation, an order from them naturally followed soon after. 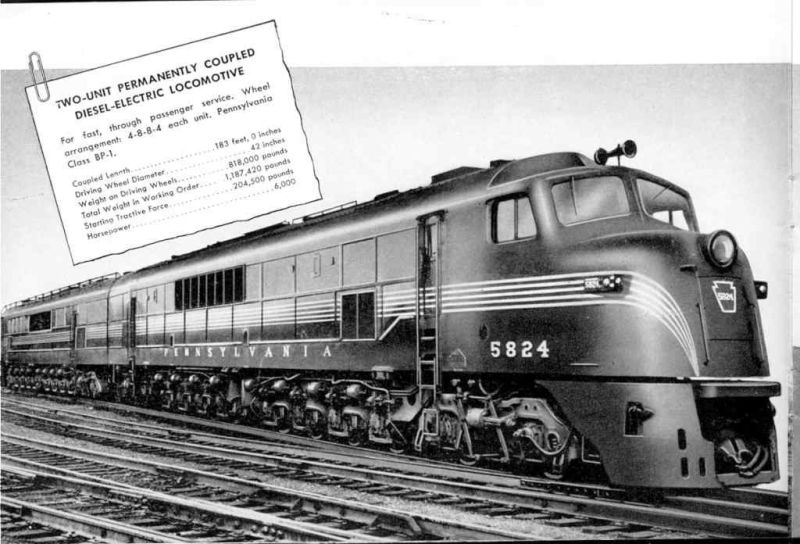 All of the Centipedes were completed by 1948, which also means that they were shipped with the early, difficult to maintain version of the 608sc engine. 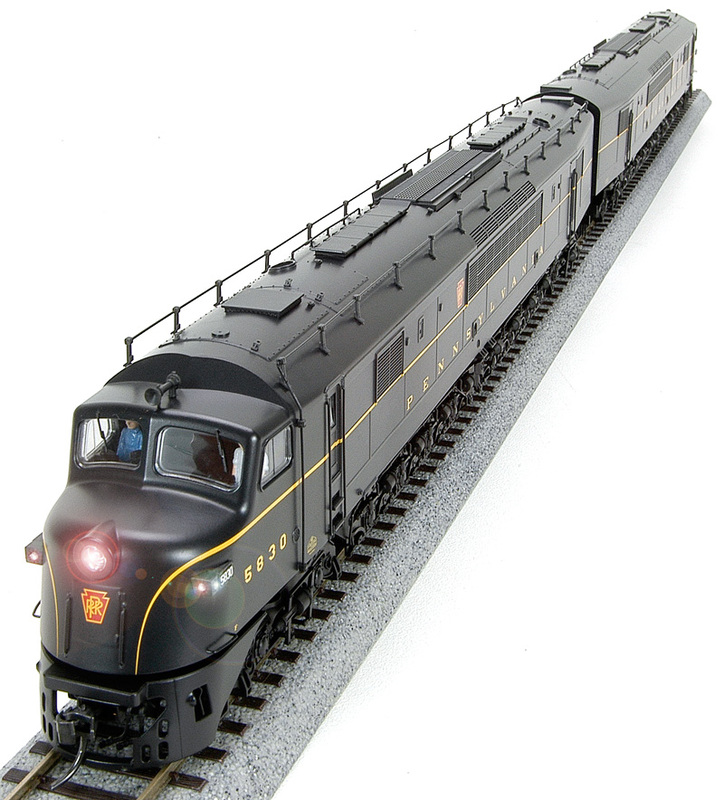 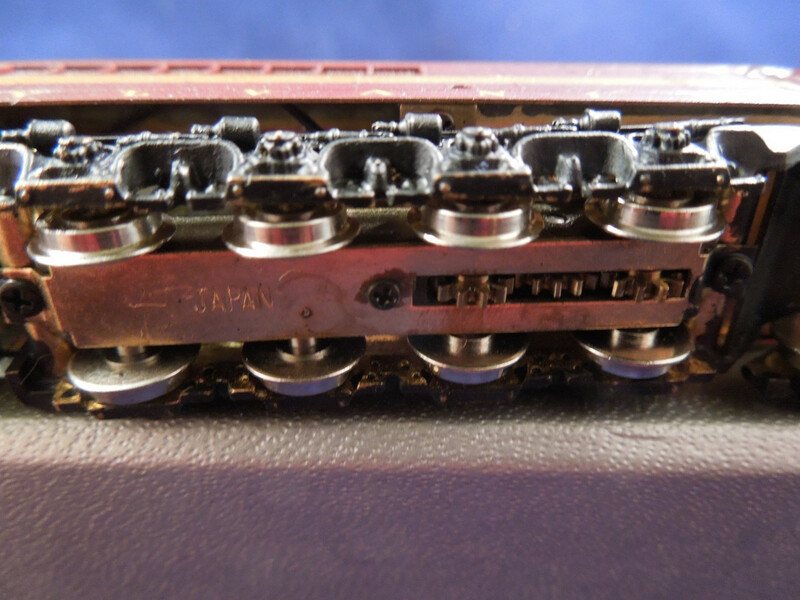 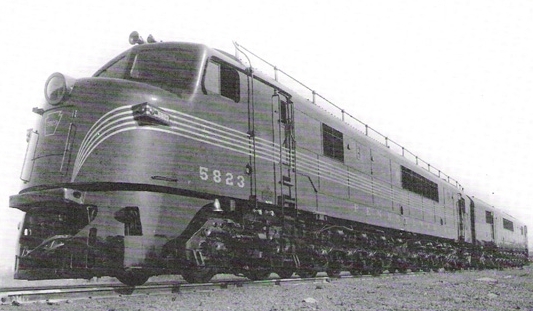 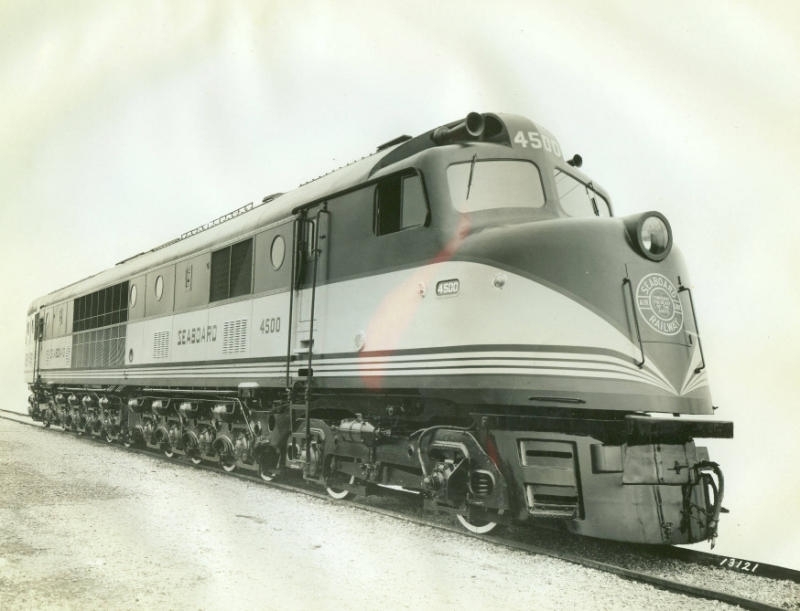 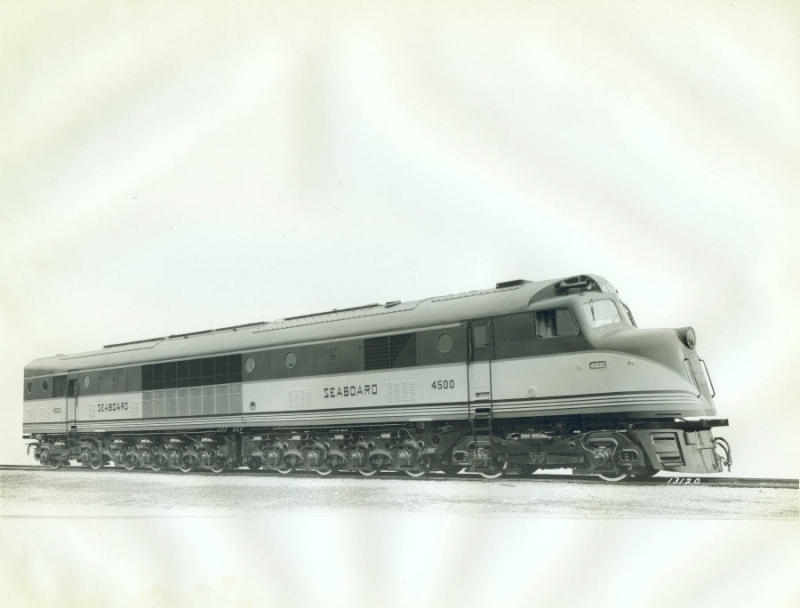 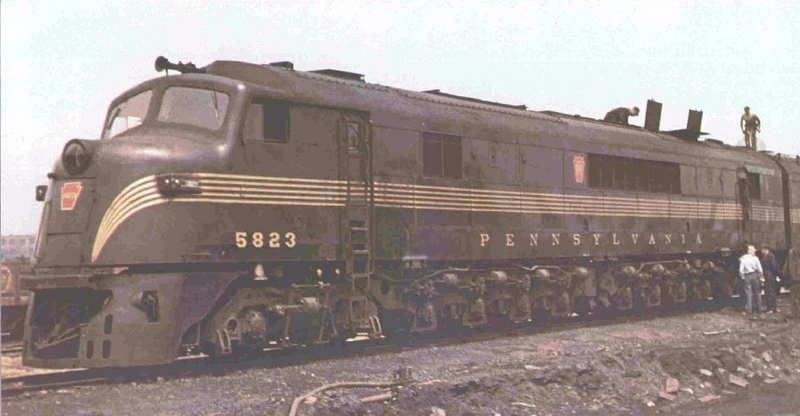 SAL and NdeM upgraded their units to the specifications of the later versions of the 608, including the 608A, which were far more reliable than the 1948 models. 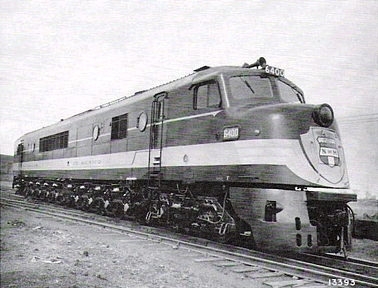 The upgrades on NdeM's units actually raised the maximum hp per unit to 3200hp, although they were still operated at 3000hp ratings. 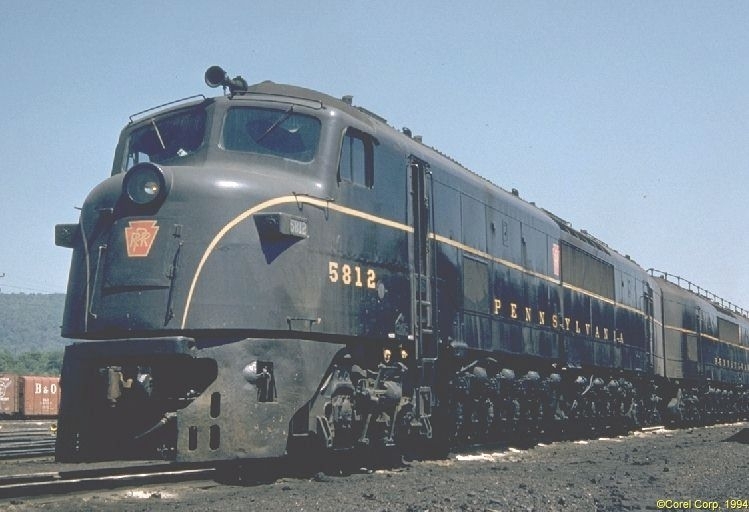 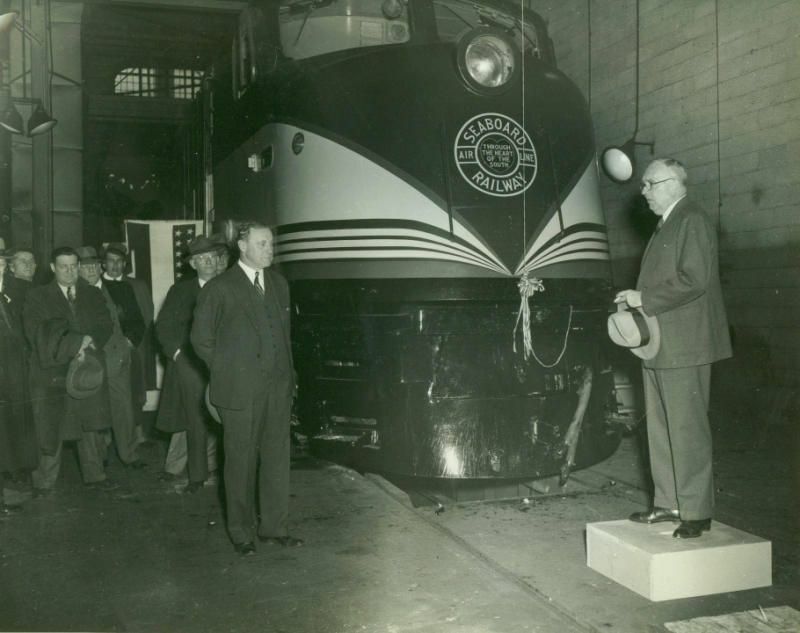 PRR, who's maintenance crews thumbed their noses at the big behemoths from the second they arrived, never did this. 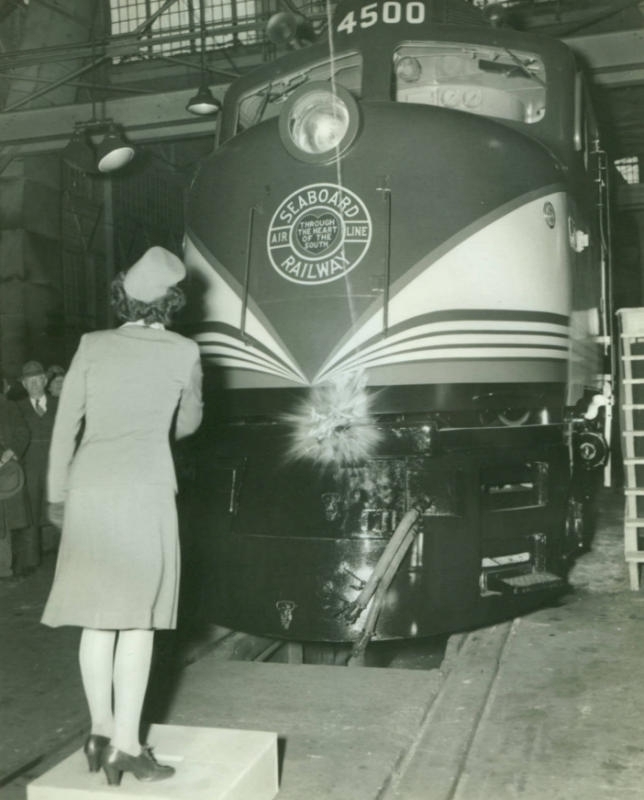 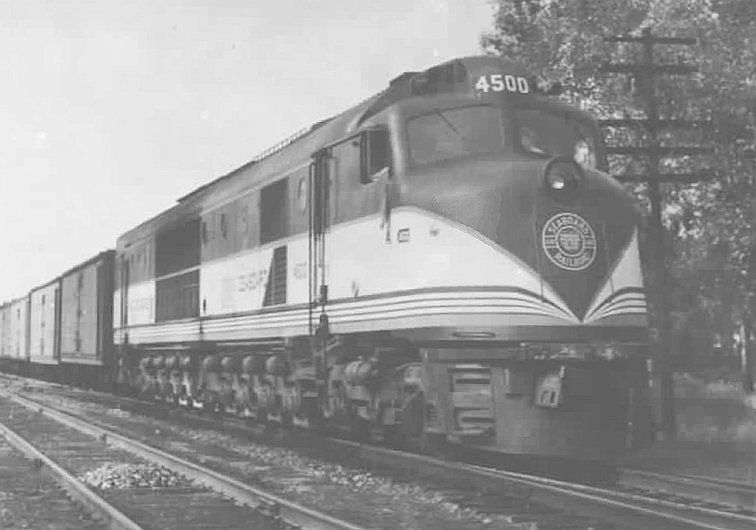 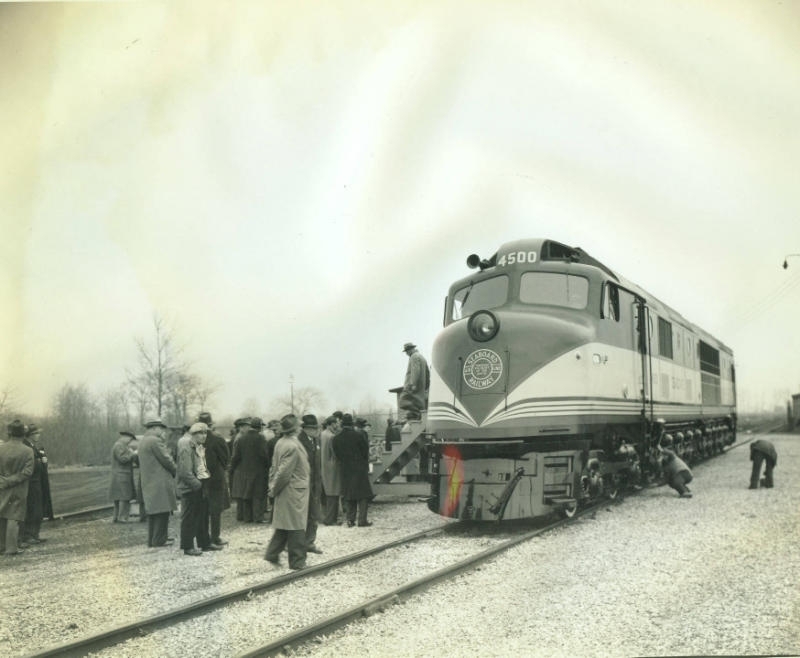 PRR also failed to utilize the Centipedes in the way they were originally intended, for high speed passenger and express service. 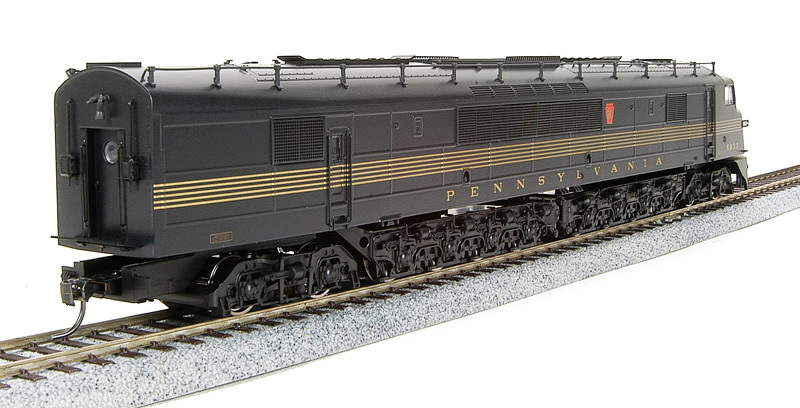 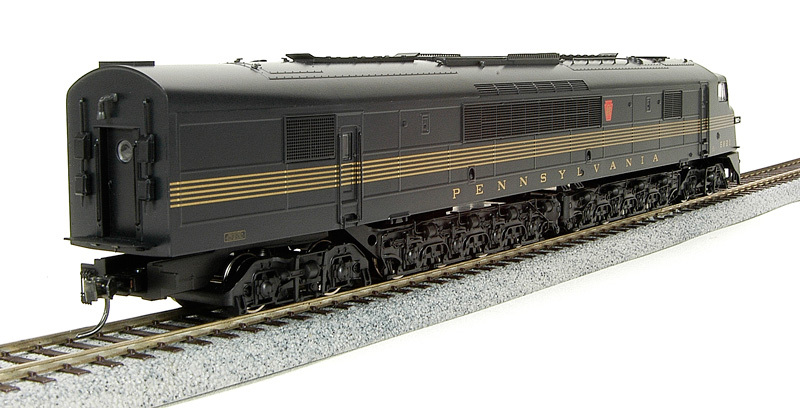 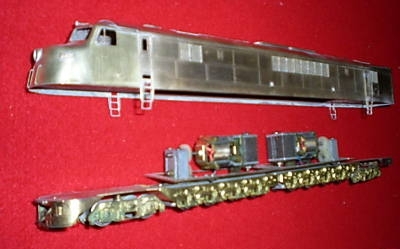 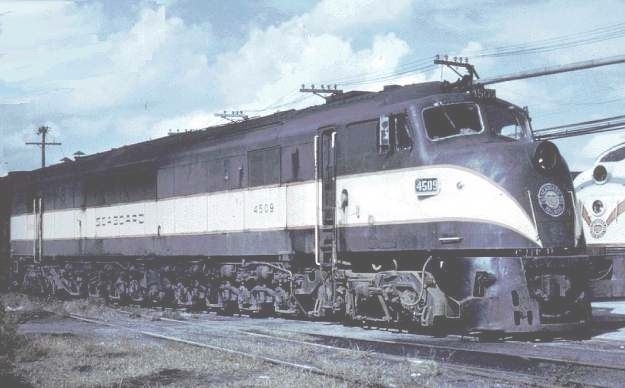 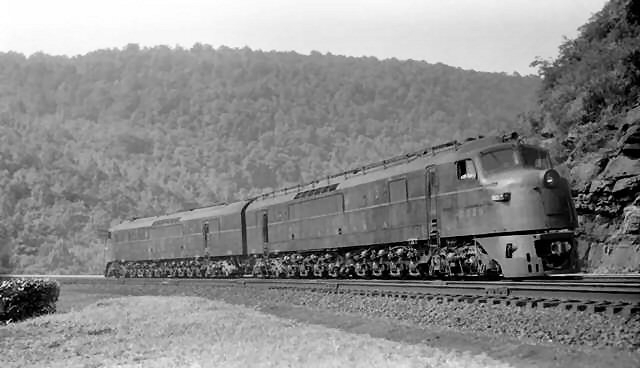 The reason is, the PRR first saw the Centipedes as the locomotive to pull passenger trains over the Appalachians, while they used the T-1s and later the EMDs over the flat lands. 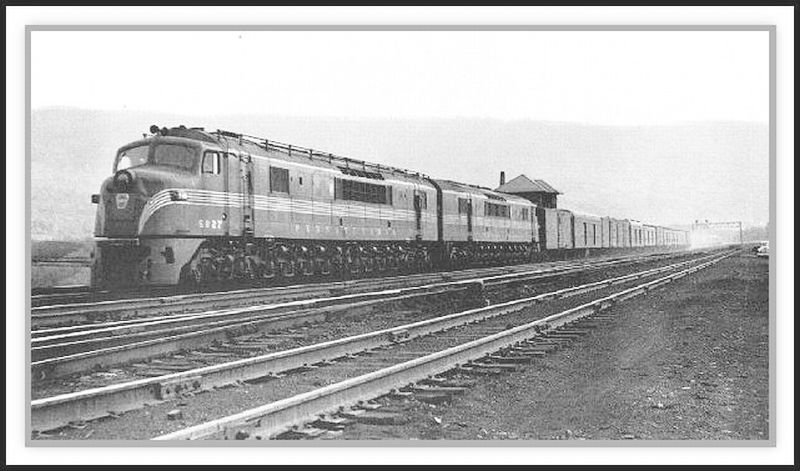 All though they pulled well and provided excellent service, their maintenance woes were causing problems on the road, which soon demoted them to pulling freight over the hills. 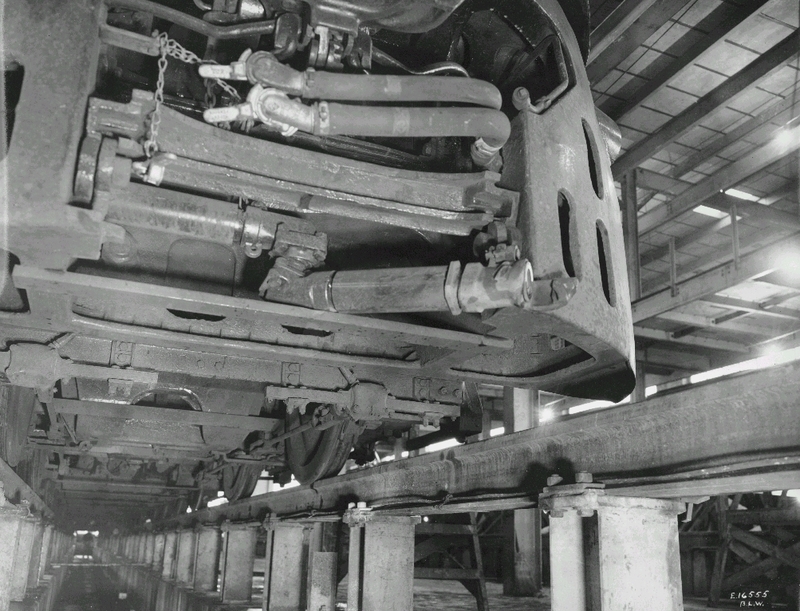 Still, any locomotive which isn't properly maintained will never give satisfactory service, and soon their mechanical troubles bumped them down to pusher service. 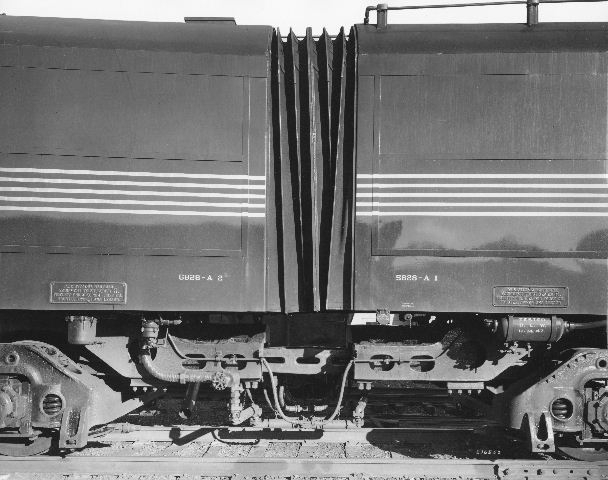 Here was the worst position for these engines. 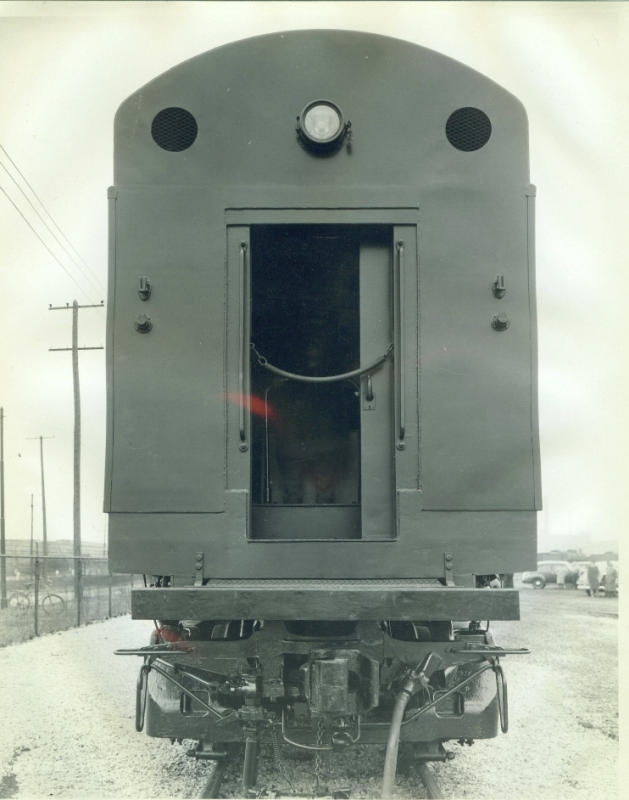 The running gear was never made for pushing, in fact the particular design of the articulated trucks caused them to jack-knife as they pushed the trains up the hill, wreaking havoc on the track. 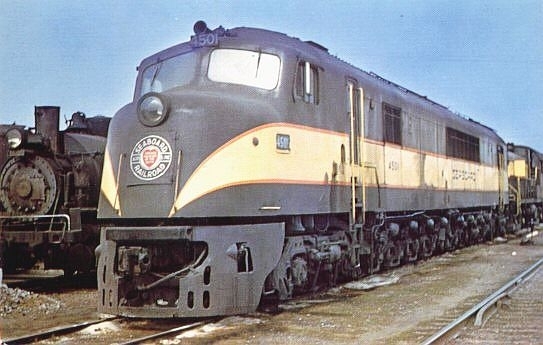 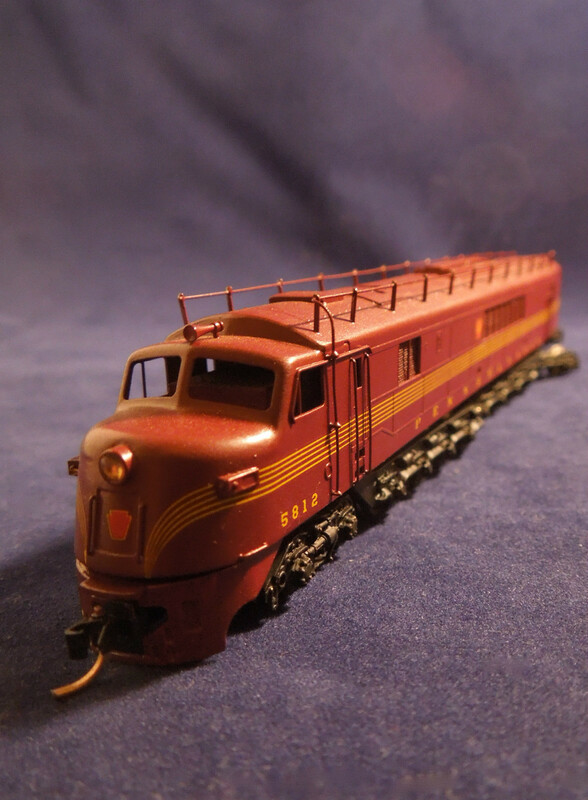 SAL got many years of long and profitable service out of their Centipedes until they reorganized their locomotive fleet and began cutting out the minority builder units. 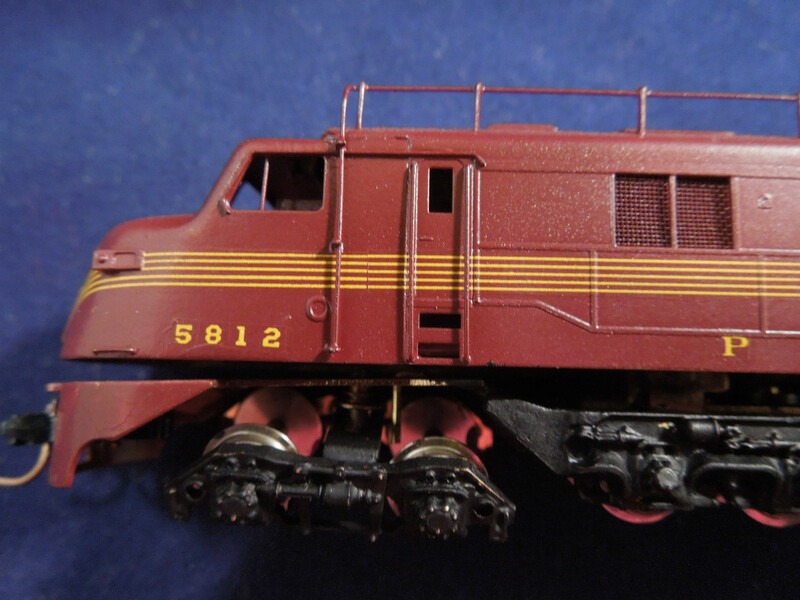 NdeM got the best return on their units, with a few lasting well into the 70's pulling trains through harsh dusty conditions on mediocre track. 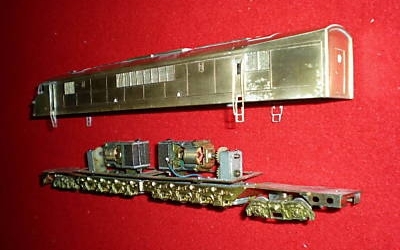 I've never been able to find definitive information on the disposition of all of these units, but it is generally accepted that all units were cut up and melted. 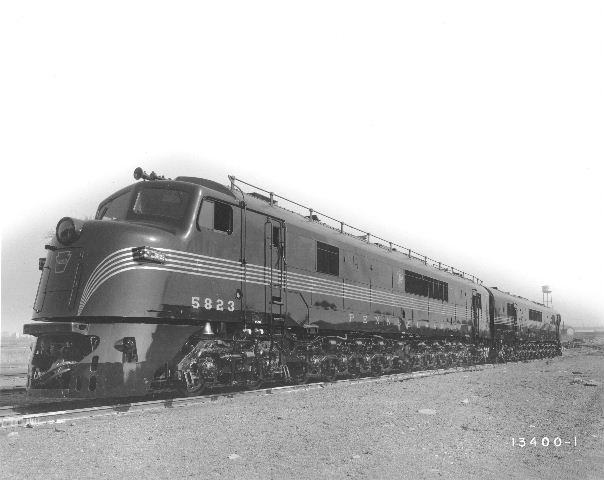 I sometimes wonder though if there may be parts of those engines still sitting out in the desert somewhere. 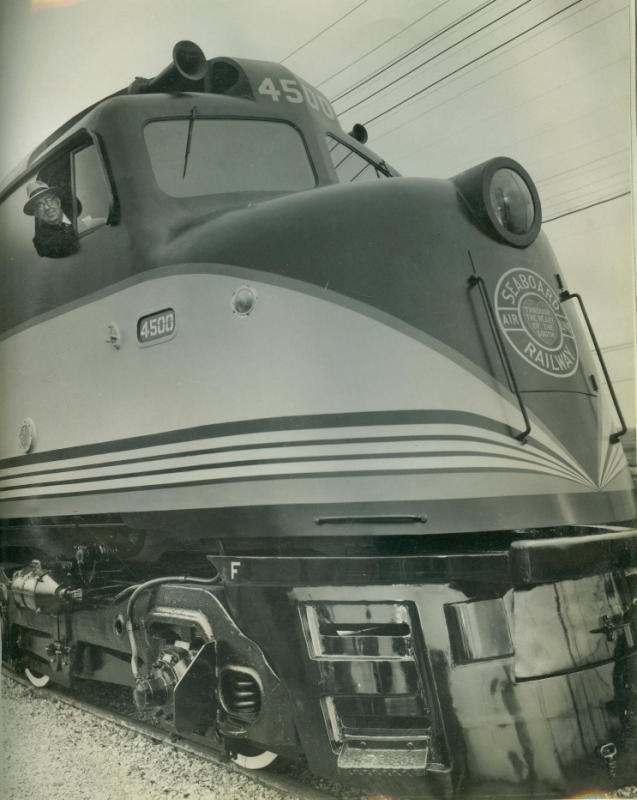 If anyone can contribute any more photos to this page, please contact me. 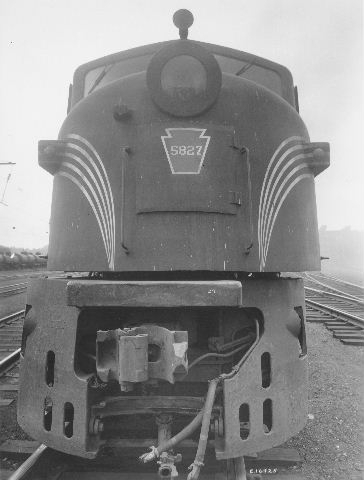 BLW lettering logo on the nose. 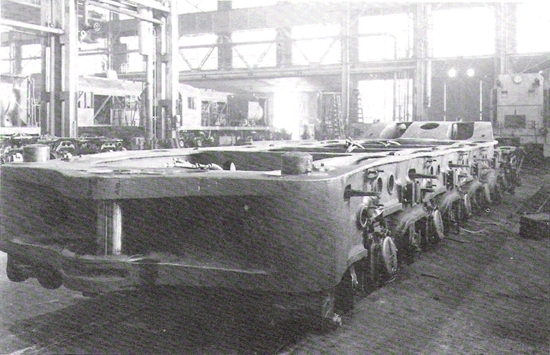 PLEASE share them for use on this page.